1. This modern garden pathway is surrounded by ivy covered arches and lit up by overhead lights. See more photos of garden paths, here. The Garden Company designed the landscaping for this Melbourne home. 2. 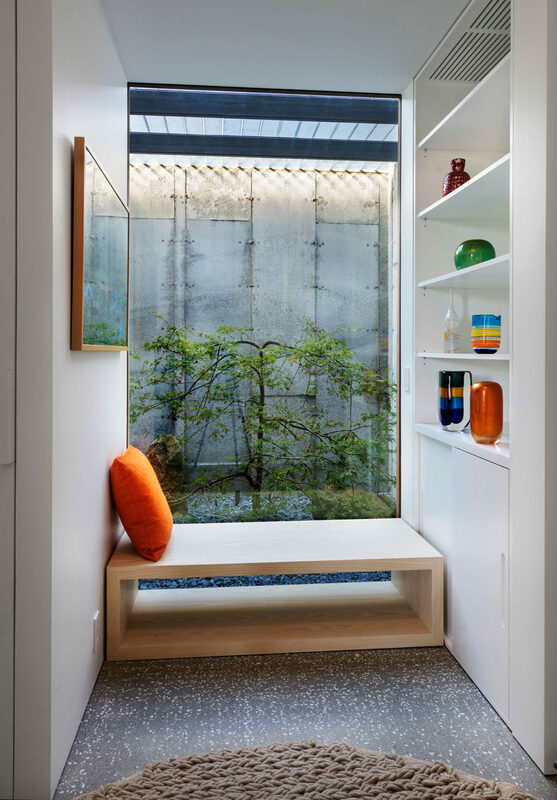 This modern house has a small nook with wood bench seating, a large window and built-in white shelving and storage. See more photos of this project, here. Designed by Schiller Projects and Gray Organschi Architecture. Photography by David Sundberg. 3. 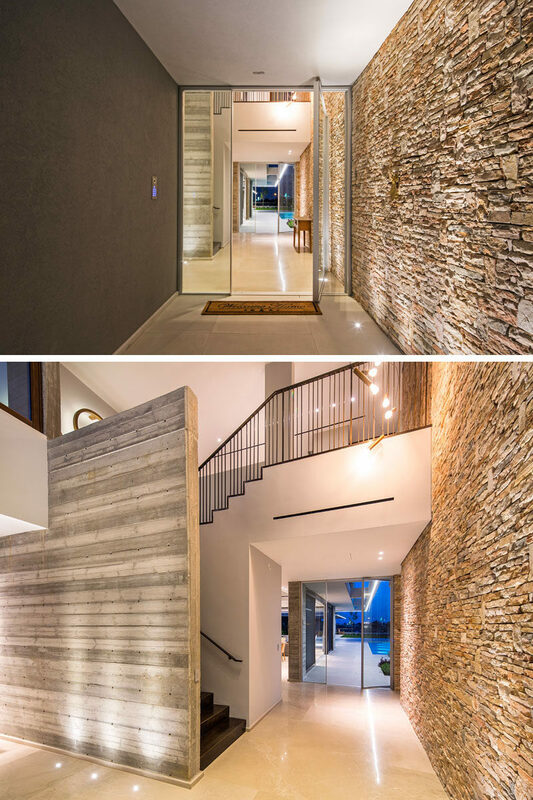 The stone that’s featured in the parking area and on the exterior of this house guides you through to the front door and continues on to the entrance hallway. See more photos of this project, here. Designed by Metropole Architects. Photography by Grant Pitcher. 4. 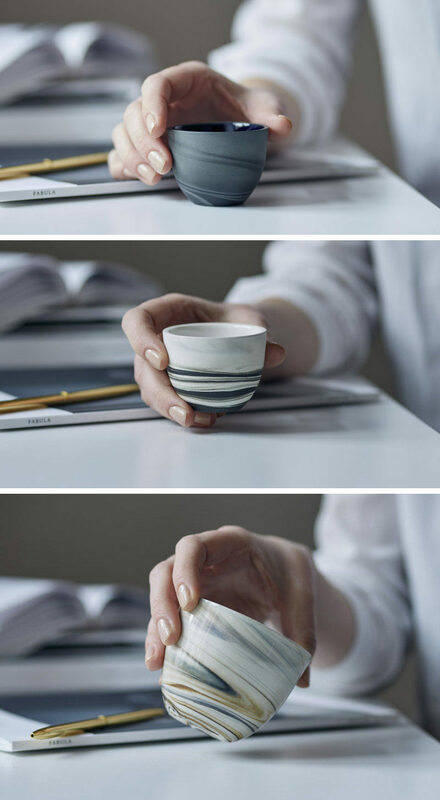 These modern espresso cups are contemporary in design with unique swirl details with a matte or gloss finish. See more photos of this project, here. Designed by bisqit. 5. Hidden behind sliding frosted doors is this modern master bathroom. A wood vanity with plenty of storage is topped with white countertops and a large mirror. 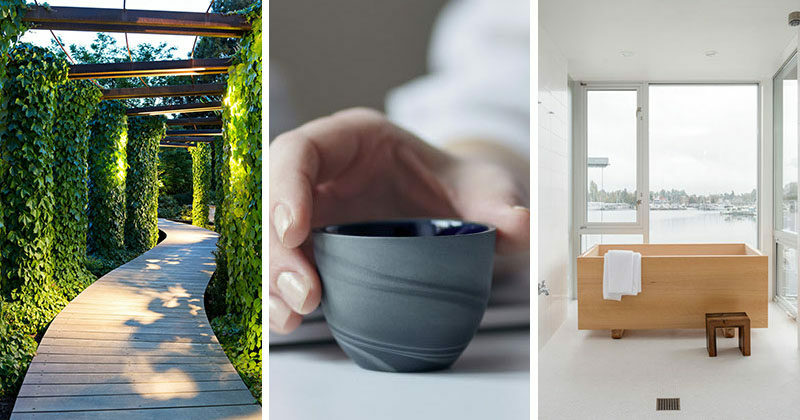 To the side of the vanity is a shower and a Japanese style hinoki tub (soaking tub) surrounded by white tiles, while large windows overlooks the lake. See more photos of this project, here. Designed by Heliotrope Architects. Photography by Aaron Leitz.